Bear jams, bear stories, bear encounters, bear dreams – I’ve experienced all. Such was the case on our annual Teton trip where I was joined by over 25 USU students and others. Bison, birds, bugling elk, sparring moose, and always the highlight- bears. Nothing quite compares with the mighty bruins to captures one’s imagination- a combination of fear and reverence. They have been with us for many millennia, our companions of the wild. Perhaps it’s their almost human traits and mystery, their intelligence and unpredictability. This year’s bears were especially close as their feeding frenzy took them on the roads edge where an abundance of hawthorn berries awaited their rapacious apatite. All of this topped by both black and grizzly, two juveniles oblivious to our presence as they went about preparing for their long winter sleep. Utah’s bears are in the same macrophage mode. 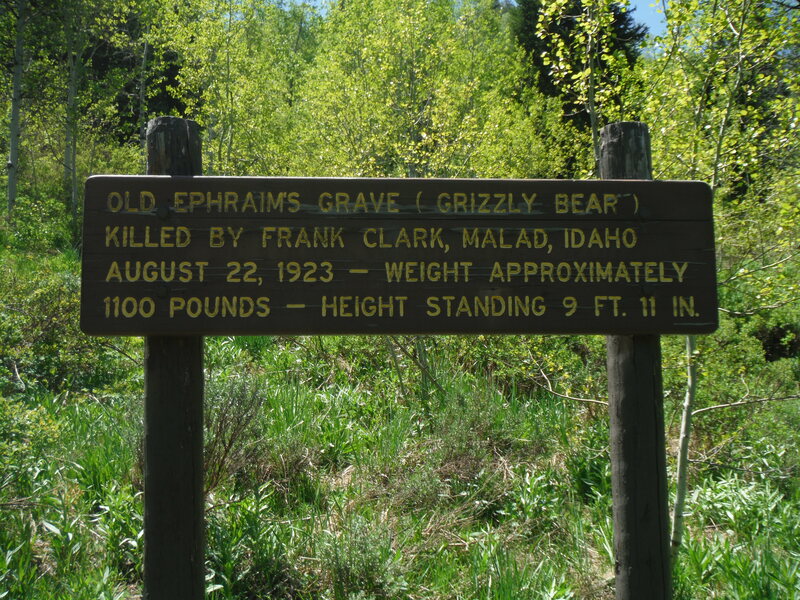 Unfortunately, our grizzlies disappeared with “Old Ephraim”, a magnificent animal of unusual size and intelligence, well up in years before his life was taken by a legendary trapper, Frank Clark. Frank was so moved as the great bears spirit was released by his bullet, that he ended his long career after killing well over 100 in the Bear River Range of northern Utah. Sixty-two people nationwide have been killed by black bears over a 109 period, only one of those in Utah. Avalanches, bee stings, and lightning kill far more people. But many Utah bears have been killed by hunters averaging around 130 per year. A few of these are killed by those who feel threatened. In rare instances, black bear will bluff charge, or clack their jaws, which is actually expressing fear of humans. Running away is their normal behavior. 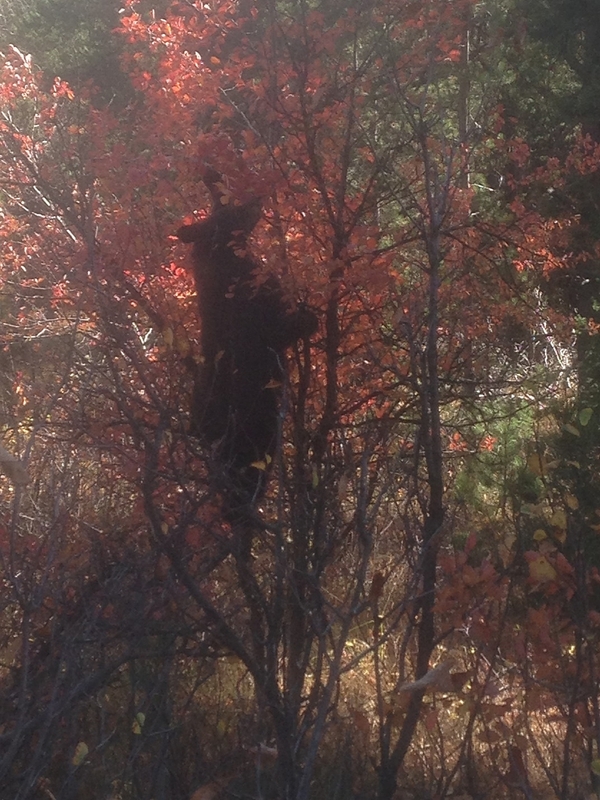 Although a precise count isn’t available, Utah’s black bear population is somewhere between 3,000 and 3,500 animals. In 2008, 314 bear hunting permits were issued and 134 animals taken. Although a hunter, I have no desire to kill a bear. I consider them my spirit animal, having been near them most of my days- from early years in N. Wisconsin, working in Denali and Yellowstone N.P.’s, and spending many years in bear infested wild country otherwise. 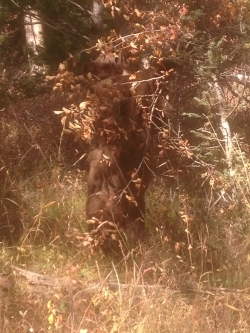 Forested areas of Central and S. Utah have much higher bear populations than does the north end. I’ve seen only bear sign in our mountains, still hoping to get a glimpse one day. “Observing a bear dancing in the golden rays of the sun, a Shoshone sage understood it to be a dance of gratitude as well as a prayer for the healing and protection of their young. From that point further the Shoshone have instigated their own Sun Dance where the bear is a central figure of the ritual, symbolizing protection, strength and continuation of life.” Jack G.
It took all of Frank Clark’s seven steel-ball cartridges to bring down Old Ephraim, the infamous Grizzly Bear that, for many years in the early 20th century, plagued the shepherds of the Northern Wasatch Mountains. The date was August 21st, 1923, when Clark, a Logan Canyon sheepman, was roused from his slumber by the gruffs and bellows of the half-ton brown bear stuck in a trap that Clark had set down in the wallows the bear frequented. Hours later, after a thrilling chase and several charges from the massive, male Grizzly, the hunt was over and the last of Utah’s Great Bears had departed. 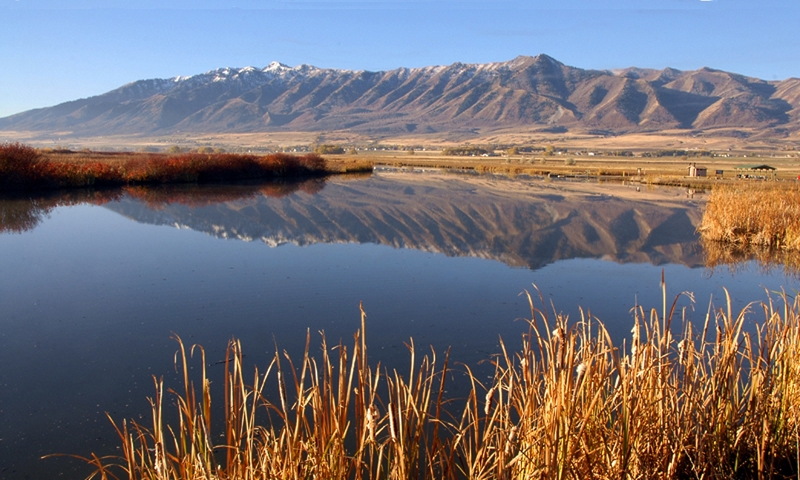 The Land of Deseret was once home to a robust population of Grizzly Bears. Indeed, present-day Utah sat very near the geographic center of their historical home range which once extended as far south as Central Mexico and eastward into the prairies of Minnesota and other midwestern states. When the Mormon Pioneers arrived in Salt Lake Valley, the surrounding mountains- and a majority of other ranges throughout the West- still harbored many Grizzlies. In fact, Brigham Young himself, along with early LDS leader Heber C. Kimball, was once chased up a cliff by an angry mother Grizz protecting her cubs. 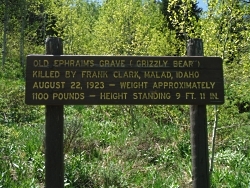 However, between the Saints’ arrival to the Salt Lake Valley in 1847 and Frank Clark’s killing of Old Ephraim in 1923, the Grizzly Bear was eliminated from 95% of its original home range, including Utah. Today, grizzlies roam a mere 2% of their historical range in the contiguous United States, driven from all but a few remote wildernesses in the far reaches of the Northern Rockies. As more and more settlers moved westward across the New Frontier in the latter decades of the 19th century into the early 20th century, competition for resources became stiff between humans and their ursine counterparts. As apex predators, grizzly bears pursue many of the same foods we humans do, including domestic stock, like sheep. For this reason, it’s clear why local stockmen held Old Ephraim in such contempt. What made him so notorious, though, was his remarkable intelligence. Grizzlies are famously smart and are even thought to possess self-awareness. Their potential for understanding is comparable to that of the higher primates in the Animal Kingdom, which stands to reason why they are such cunning hunters. Grizzly Bears have even been known to cover their own tracks or conceal themselves with trees and rocks when either hunting or hiding, giving biologists reason to believe that these incredible animals are even capable of forethought. Perhaps, that’s why it took Frank Clark over a decade to even get a good look at Old Ephraim, much less a clear shot at him. The mighty grizzly had time and again removed Clark’s traps from his wallowing holes, discarding them elsewhere without even setting them off. 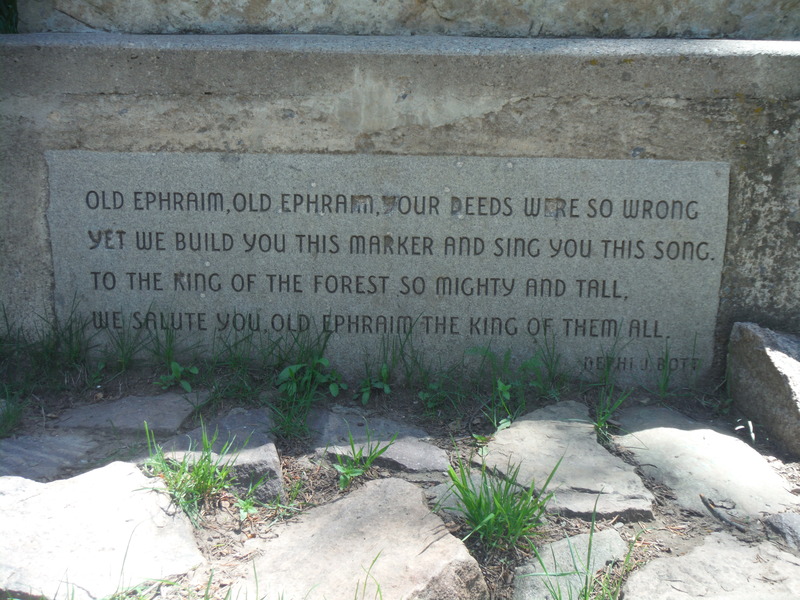 However, despite his amazing intelligence and ability to adapt- or, perhaps because of them- Old Ephraim ultimately met his end that August morning in 1923. 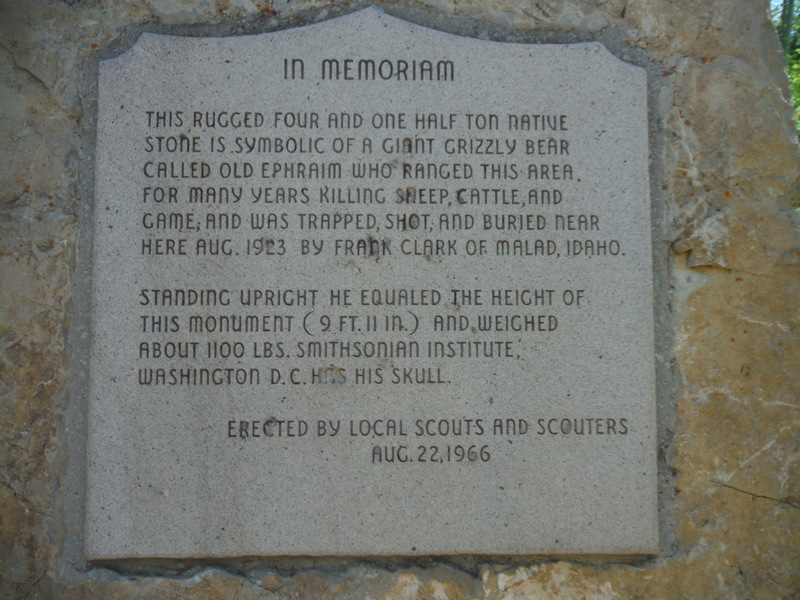 Even after having, quote, “sworn eternal vengeance on bears,” Frank Clark ultimately professed regret for having to kill Old Ephraim; and it’s a sentiment that’s well-circulated and gaining steam here in the west, now nearly a century removed from Ephraim’s death. In 1975, as a result of their dismal population levels in the contiguous United States and high mortality rates even in protected areas such as Yellowstone National Park, the Grizzly Bear was listed as “Threatened” under the Endangered Species Act. As of June 2017, however, that listing was revoked for the populations in and around Yellowstone National Park due to the Bear’s remarkable recovery from a mere 136 individuals in 1975 to approximately 700 today. It seems we have begun to amend our relationship with these animals; but there is more to be done in the interest of Grizzly Bears. Several recovery and reintroduction plans are currently being considered, and reflect a brighter future for Grizzly Bears in the lower 48. But, what about here in Utah? The Great Bear’s return to the Beehive state is entirely possible but, as the Ogden Standard Examiner reported early last year, not very likely. “Although grizzlies are established in Montana, Idaho and Wyoming,” the article states, “Utah is not a part of the government’s recovery plan for the animal.” There are probably many reasons for this, not least of which is the relatively high population densities adjacent to the best of Utah’s potential Grizzly habitat. Right now, there are just too many people for the bears to be able to ramble unimpeded by the things and interests of humans. “But that’s not to say that some rogue bear might not roam across state lines one day,” states the Standard’s article. I, for one, hope they make their way back. 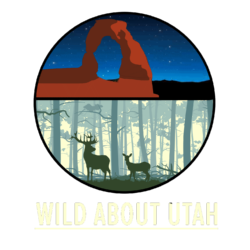 Writing and reading for Wild About Utah, I’m Josh Boling. 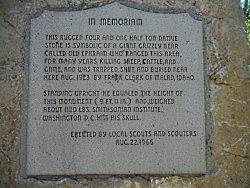 Twelve miles up the Logan Canyon in the Bear River Range of the Wasatch Mountains is the grave of Old Ephriam, the last grizzly bear seen in Utah. He was trapped and shot in 1923 by Frank Clark, a sheepherder from Malad. Clark, an animal lover–except for bears–doggedly tracked Old Ephriam for 10 years during which the grizzly poached local sheep with impunity. The name “grizzly” is based on the fact that bears in North America’s interior have hairs with white tips, resulting in a “grizzled” appearance. Many think the grizzly is a separate species, but in fact, the brown bears of North America, Northern Asia and Europe are all local variations of the same species–Ursus arctos. Brizzly, Kodiak, Manchurian, and Siberian brown bears may differ in size and color, but they all share a characteristic shoulder hump, a dished face and extra long claws so good for digging. Old Ephriam was said to be a “giant grizzly”, weighing in at around 1,100 pounds. Such a weight would be unremarkable for a costal Alaskan brown bear, which can reach up to 1,500 pounds. But, because of their more limited food supply, interior brown bears, such as Old Ephriam, usually range between 225 and 670 pounds. Thus, it is very likely that the 1,100 pound figure might just be the product of good storytelling. Today, you may visit utah’s most famous brown bear in two different places. Old Ephriam’s skull is on display in the Tanner Reading Room of Utah State University’s Merrill-Cazier library in Logan. But maybe the best way to pay your respects to this Utah celebrity is to hike to his old stomping grounds northeast of Logan. 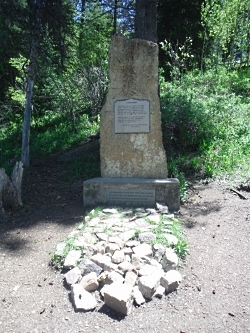 His grave is six miles up the right-hand fork of the Logan river. 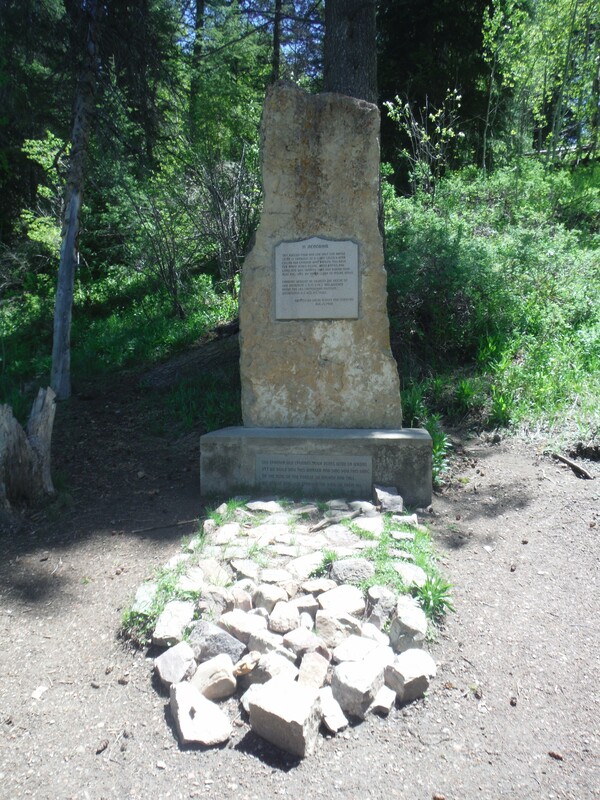 A large stone monument, built by the Boy Scouts in 1966 lies near the 1923 gravesite.